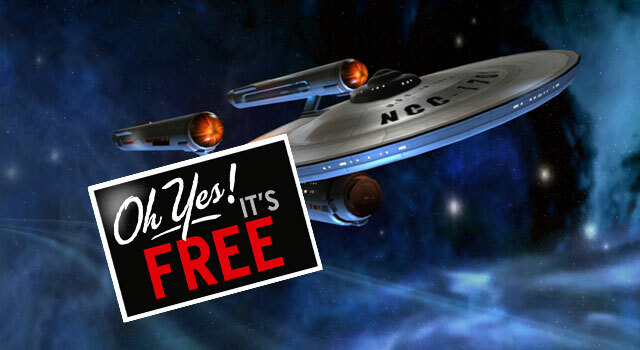 After months of speculation and reporting that the game would be moving to a free-to-play model back in September, Cryptic Studios has announced that Star Trek Online will go free-to-play on January 17th, 2012. While an optional subscription plan will still be offered, on that date players will be able to not just play for free, but also download the game itself at no cost. Players will still be able to subscribe for a Gold Membership for $14.99 per month. Gold Members will receive two additional Bridge Officer slots for each rank, a higher level of free inventory, a Captain Retrain Token for each rank, eight Foundry Project slots, four hundred promotional points each month along with unlimited in-game chat and mail, forums and customer service. Those who had previously signed up for the lifetime subscription will automatically become Gold Members and will not be charged additional fees. Will Star Trek Online going free-to-play make you more apt to play? Let us know in the comments.